Montage of Andhra Pradesh Clockwise from top left: Vijayawada city view, Araku Valley, Visakhapatnam Port view, Godavari Arch Bridge (Rajahmundry), Tirumala temple (Tirupati), Dolphin's Nose mountain and the Bay of Bengal at Visakhapatnam. Clockwise from top left: Vijayawada city view, Araku Valley, Visakhapatnam Port view, Godavari Arch Bridge (Rajahmundry), Tirumala temple (Tirupati), Dolphin's Nose mountain and the Bay of Bengal at Visakhapatnam. pronunciation (help·info)) is one of the 29 states of India, situated on the southeastern coast of the country. The state is the eighth largest state in India covering an area of 160,205 km2 (61,855 sq mi). As per 2011 census of India, the state is tenth largest by population with 49,386,799 inhabitants. On 2 June 2014, the north-western portion of the state was bifurcated to form a new state of Telangana. In accordance with the Andhra Pradesh Reorganisation Act, 2014, Hyderabad will remain the de jure capital of both Andhra Pradesh and Telangana states for a period of time not exceeding 10 years. The new river-front proposed capital in Guntur district is Amaravati, which is under the jurisdiction of APCRDA. The state has a coastline of 974 km (605 mi), the second longest among all the states of India after Gujarat. It is bordered by Telangana in the north-west, Chhattisgarh in the north, Odisha in the north-east, Karnataka in the west, Tamil Nadu in the south and the water body of Bay of Bengal in the east. A small enclave of 30 km2 (12 sq mi) of Yanam, a district of Puducherry, lies south of Kakinada in the Godavari delta to the northeast of the state. The Andhras trace their history to the vedic age. Andhra was mentioned in the Sanskrit epics such as Aitareya Brahmana (800 BCE). According to Aitareya Brahmana of the Rig veda, Andhras left north India and settled in south India. The Early Satavahanas ruled Andhra. The puranas refer to Satavahanas as Andhra Bhrityas. The Puranas list 30 Andhra rulers. Many are known from their coins and inscriptions as well. Satavahanas made Amaravathi as their capital. Early Satakarni issue, Maharashtra – Vidarbha type. Andhra Ikshvakus (Telugu ఇక్ష్వాకులు, Sanskrit इक्ष्वाकु ) were one of the earliest recorded ruling dynasties of the Guntur-Krishna regions of Andhra Pradesh. They ruled the eastern Andhra country along the Krishna river during the later half of the second century CE. Puranas called Andhra Ikshvakus Shri Parvatiya Andhras. Their capital was Vijayapuri (Nagarjunakonda). It is a strong common belief among some historians that Andhra Ikshvakus were related to the mythological Ikshvakus, while some believe Andhra Ikshvakus seem to be a local tribe who adopted the title. Most of the Pallava Prakrit and Sanskrit charters from the southern Andhra country intimately connects them with the history of southern Andhra. The influence of the Pallavas was still felt by Andhra till it was swept by the Western Chalukyan invasion led by Pulakesin II in the first quarter of the seventh century AD. The Pallavas were not a recognised political power before the 2nd century AD. Pallavas were originally executive officers under the Satavahana kings. The Reddy Kingdom (1325–1448 CE) was established in present-day coastal Andhra Pradesh by Prolaya Vema Reddi in the early fourteenth century. The region that was ruled by this dynasty spanned present day coastal andhra from Visakhapatnam in the north to Kanchipuram in the south. Prolaya Vema Reddi was part of the confederation of states that started a movement against the invading Turkic Muslim armies of the Delhi Sultanate in 1323 CE and succeeded in repulsing them from Warangal. Today Reddys is a social group or caste of India, predominantly inhabiting the states of Andhra Pradesh and Telangana. The Vijayanagara Empire was an empire originated South India, in the Deccan Plateau region in the early fourteenth century. It was established in 1336 by Harihara Raya I and his brother Bukka Raya I of Sangama Dynasty. The empire rose to prominence as a culmination of attempts by the southern powers to ward off Islamic invasions by the end of the thirteenth century. It lasted until 1646 although its power declined after a major military defeat in 1565 to the Deccan sultanates. The empire is named after its capital city of Vijayanagara, whose ruins surround present day Hampi, now a World Heritage Site in Karnataka, India. The empire's legacy includes many monuments spread over South India, the best known of which is the group at Hampi. The Vijayanagara empire's time is considered as the golden era of South India in many aspects by historian be it prosperity, welfare, wealth, military might and nurturing of arts. The previous temple building traditions in South India came together in the Vijayanagara Architecture style. The mingling of all faiths and vernaculars inspired architectural innovation of Hindu temple construction, first in the Deccan and later in the Dravidian idioms using the local granite. Efficient administration and vigorous overseas trade brought new technologies such as water management systems for irrigation. The empire's patronage enabled fine arts and literature to reach new heights in Kannada, Telugu, Tamil and Sanskrit, while Carnatic music evolved into its current form. The Vijayanagara Empire created an epoch in South Indian history that transcended regionalism by promoting Hinduism as a unifying factor. In early 19th century, Northern Circars was ceded and it became part of the British East India company held Madras Presidency. Eventually this region emerged as the Coastal Andhra region. Later the Nizam rulers of Hyderabad ceded five territories to the British which eventually emerged as Rayalaseema region. The Nizams retained control of the interior provinces as the princely state of Hyderabad, acknowledging British rule in return for local autonomy. However, Komaram Bheem, a tribal leader, started his fight against the erstwhile Asaf Jahi Dynasty for the liberation of Hyderabad State. Meanwhile, the French occupied Yanam, in the Godavari delta, and (save for periods of British control) would hold it until 1954.In 1947 Vizianagaram was the largest Hindu Princely state in Andhra Pradesh. On the basis of a gentlemen's agreement of 1 November 1956, the States Reorganisation Act formed Andhra Pradesh by merging Andhra State with the Telugu-speaking areas of the already existing Hyderabad State. Hyderabad was made the capital of the new state. The Marathi-speaking areas of Hyderabad State merged with Bombay State and the Kannada-speaking areas were merged with Mysore State. Geographically, Andhra Pradesh has varied topography ranging from the hills of Eastern Ghats and Nallamala Hills to the shores of Bay of Bengal that supports varied ecosystems, rich diversity of flora and fauna. There are two main rivers namely, Krishna and Godavari, that flow through the state. The state has two regions Coastal Andhra and Rayalaseema. The plains to the east of Eastern Ghats form the Eastern coastal plains. The coastal plains are for the most part of delta regions formed by the Godavari, Krishna, and Penna rivers. The Eastern Ghats are discontinuous and individual sections have local names. The Eastern Ghats are a major dividing line in the state's geography. The Kadapa Basin formed by two arching branches of the Eastern Ghats is a mineral-rich area. The Ghats become more pronounced towards the south and extreme north of the coast. Most of the coastal plains are put to intense agricultural use. The Rayalaseema region has semi-arid conditions. Lambasingi (or Lammasingi), a village in the Chintapalli Mandal of Visakhapatnam district is situated at 1000 meters above the sea level. It is the only place in South India which has snowfall and is also nicknamed as Kashmir of Andhra Pradesh. Throughout the year the temperature here ranges from 0 °C to 10 °C. Eastern Ghats region is home to dense tropical forests, while the vegetation becomes sparse as the Ghats give way to the Deccan Plateau, where shrub vegetation is more common. These Ghats have rich biological diversity with a wide variety of plants, birds and lesser forms of animal life. The vegetation found in the state is largely of dry deciduous types with a mixture of teak, Terminalia, Dalbergia, Pterocarpus, Anogeissus, etc. The state possesses some rare and endemic plants like Cycas beddomei, Pterocarpus santalinus, Terminalia pallida, Syzygium alternifolium, Shorea talura, Shorea tumburgia, Psilotum nudum, etc. As of 2011 Census of India, the state had a population of 49,386,799 with a population density of 308 /km2 (800 /sq mi). The total population constitute, 70.4% of rural population with 34,776,389 inhabitants and 29.6% of urban population with 14,610,410 inhabitants. Children in the age group of 0–6 years are 5,222,384, constituting 10.6% of the total population, among them 2,686,453 are boys and 2,535,931 are girls. Visakhapatnam district has the largest urban population of 47.5% and Srikakulam district with 83.8%, has the largest rural population, among others districts in the state. The overall population of the state comprises 17.1% of Scheduled Caste and 5.3% of Scheduled Tribe population. According to the 2011 census, the Andhra Pradesh state's population (before the state's bifurcation, hence includes religious affiliation from neighbouring Telengana too) (This does not reflect the current religious affiliation in Andhra Pradesh formed as of 2nd of July 2014, exclusive data for Andhra Pradesh is unavailable even by dec 2015) was around 88.5% Hindu with a Muslim minority of 9.6% along with smaller numbers of Christians, Jains, Sikhs, and Buddhists. Andhra Pradesh is home to Shankaracharya of Pushpagiri Peetham. Other Hindu saints include Sadasiva Brahmendra, Bhaktha Kannappa, Yogi Vemana, Yogi Sri Potuluri Virabrahmendra Swami, who was born in the Vishwabrahmin (goldsmith) caste. The region played a central role in the development of Mahayana-buddhism, along with the Magadha-erea in northeastern India. A.K. Warder holds that "the Mahāyāna originated in the south of India and almost certainly in the Andhra country." According to Xing, "Several scholars have suggested that the Prajnaparamita probably developed among the Mahasamghikas in Southern India probably in the Andhra country, on the Krishna River." The Prajñāpāramitā Sutras belong to the earliest Mahayana Sutras. The state is divided into two regions viz., Coastal Andhra and Rayalaseema. It has a total of 13 districts, with nine in Coastal Andhra and four in Rayalaseema. These 13 districts are further divided into 49 revenue divisions and they are in turn divided into 664 mandals. Chittoor district has the most number of mandals with 66 and Srikakulam district has the least with 37. There are as many as 7 revenue divisions in East Godavari district and only 2 in Vizianagaram district. The districts in the state are Anantapur, Chittoor, East Godavari, Guntur, Kadapa, Krishna, Kurnool, Prakasam, Nellore, Srikakulam, Visakhapatnam, Vizianagaram and West Godavari. There are a total of 31 cities which include, 16 municipal corporations and 14 municipalities. There are two million plus cities namely, Visakhapatnam and Vijayawada. The village of Durgi is known for stone craft, producing carvings of idols in soft stone that must be exhibited in the shade because they are prone to weathering. Kalamkari is an ancient textile art form dating back to the Indus Valley Civilisation and"Srikalahasti" is famous for this art. Andhra Pradesh is famous for doll making. Dolls are made from wood, mud, dry grass, and lightweight metal alloys. Tirupati is famous for redwood carvings. Kondapalli is famous for wood toys with rich colors. The village of Etikoppaka, located in Visakhapatnam district, produces lacquered toys. Nannayya, Tikkana, and Yerrapragada form the trinity who translated the Sanskrit epic Mahabharata into Telugu language. Harikathaa Kalakshepam (or Harikatha) involves the narration of a story, intermingled with various songs relating to the story. Harikatha was originated in Andhra. Harikatha Kalakshepam is most prevalent in Andhra Pradesh even now along with Burra katha. Haridasus going round villages singing devotional songs is an age-old tradition during Dhanurmaasam preceding Sankranti festival. Burra katha is a oral storytelling technique in the Katha tradition, performed in villages of coastal Andhra Pradesh region. The troupe consists of one main performer and two co-performers. It is a narrative entertainment that consists of prayers, solo drama, dance, songs, poems and jokes. The topic will be either a Hindu mythological story or a contemporary social issue. Cuisine of Andhra Pradesh is famous for the rich seasoning and lots of variety. Rice is the staple food and is used in a wide variety of dishes. Typical meal includes rice, pappu (dal), vegetable curry, relishes, pickles, chutneys and curd. Pickles and chutneys (sauces) are made from chilli, ginger, coconut and other vegetables like tomato, brinjals, gongura are served with meals. Aavakaaya is probably the best known of the pickles. Roselle leaves (gongura), termed as Andhra bhakshyam (or food of Andhra). Rayalaseema region too had its own variety which includes jonna (jowar), ragi roti with ragi sangati, usually served with spinach. The gross state domestic product (GSDP) of Andhra Pradesh was Expression error: Unrecognised punctuation character "[". in 2012–13. The domestic product of agriculture sector accounts for Expression error: Unrecognised punctuation character "[". and Industrial sector for Expression error: Unrecognised punctuation character "[".. The service sector of the state accounts more percentage of the GSDP with a total of Expression error: Unrecognised punctuation character "[".. In the 2010 list by Forbes magazine, there were several from Andhra Pradesh among the top 100 richest Indians. The industrial sector of the state include some of the key sectors like Pharma, Automobile, Textiles etc. Sricity located in Nellore district is an integrated business city which is home to many renowned firms like PepsiCo, Isuzu Motors, Cadbury India, Kellogg's, Colgate-Palmolive, Kobelco etc. The PepsiCo firm has its largest plant in India at Sri City. The state is also emerging in information technology and biotechnology. The IT/ITES revenues of the Visakhapatnam alone is at Expression error: Unrecognised punctuation character "[". in 2012–13. The development of IT in Tier-II and Tier-III cities like Vijayawada, Kakinada and Tirupati are also improving. In the fiscal year 2012–13, Vijayawada's IT/ITeS revenues were Expression error: Unrecognised punctuation character "[". crore while Tirupati with Expression error: Unrecognised punctuation character "[". and Kakinada with Expression error: Unrecognised punctuation character "[".. Other include . The state is a pioneer nationwide in hydro electricity generation. APGENCO is the power generating organization of the state. The state has become power surplus with excess power generation being exported to other states. Natural gas, one of the cheapest source in power generation is in abundance. Thermal (natural gas and coal based) and renewable power plants totaling to 21,000 MW were installed in the state by the year 2015. Thermal power plants with total capacity of 9,155 MW are situated in the state which includes Simhadri Super Thermal Power Plant (2000 MW) of NTPC, Rayalaseema Thermal Power Station (1050 MW), Sri Damodaram Sanjeevaiah Thermal Power Station (1600 MW), Vijayawada Thermal Power Plant (1760 MW), etc. Hydel power plants are having a capacity of 1798 MW. Andhra Pradesh has a railway network of 5,046 km (3,135 mi) and have played a significant role in boosting the economy of the state alongside developing the industrial and the tourism sectors. One of the highest broad gauge tracks in the world is in Eastern Ghats route that runs from Visakhapatnam to Anantagiri. Most of Andhra Pradesh falls under with Guntur, Vijayawada , Guntakal (South Central Railway zone and Waltair (East Coast Railway zone) divisions. This serves the north coastal districts. Andhra Pradesh has one of the country's largest port at Visakhapatnam in terms of (cargo handling). The other famous ports are Krishnapatnam Port (Nellore), Gangavaram Port and Kakinada Port. Gangavaram Port is a deep seaport which can accommodate ocean liners up to 200,000–250,000 DWT. There are 14 notified non-major ports at Bheemunipatnam, S.Yanam, Machilipatnam, Nizampatnam, Vadarevu etc. The seacoast of the state extends along the Bay of Bengal from Srikakulam to Nellore district. The coastline has many beaches, namely Ramakrishna, Rushikonda, Bheemili, Suryalanka, Krishnapatnam, Vodarevu beach, Uppada beaches etc. The state tourism board APTDC promotes tourism in the state. Borra Caves in the Ananthagiri Hills of the Eastern Ghats, near Visakhapatnam are famous for million-year-old stalactite and stalagmite formations. Belum Caves in Kurnool district are the second largest natural caves of 3.229 km (2.006 mi) in length on the Indian subcontinent. Araku Valley is the famous hill station in Visakhapatnam district with thick forests, coffee plantations and waterfalls. Horsley Hills is a summer hill resort in the Chittoor district, situated at an elevation of 1,265 metres (4,150 ft), has natural flora and fauna. Papi Hills in East Godavari district is famous for its scenic beauty of the location in the river Godavari with. Arma Konda peak located in Visakhapatnam district is the highest peak in Eastern Ghats. The state has rich forests, diverse flora & fauna that provides ample scope for promoting ecotourism. The state has many Sanctuaries, National Parks, Zoological Parks such as Coringa, Krishna Wildlife Sanctuary, Nagarjunsagar-Srisailam Tiger Reserve, Kambalakonda Wildlife Sanctuary, Sri Venkateswara Zoological Park, Indira Gandhi Zoological Park etc. Atapaka Bird Sanctuary, Nelapattu Bird Sanctuary and Pulicat Lake Bird Sanctuary attracts many migratory birds. Apart from these, the state is home to many pilgrim destinations. It has many temples and shrines, mosques, and churches. Some famous temples, mosques, Buddhist shrines and churches of religious importance which are often visited by many tourists include Tirumala Temple, Simhachalam Temple in Visakhapatnam District, Annavaram temple in East Godavari District, Dwaraka Tirumala in West Godavari District, Srisailam temple, Kanaka Durga Temple of Vijayawada, Kotappakonda in Narasaraopet, Amaravathi, Srikalahasti temple, Shahi jamia masjid in Adoni, Gunadala Church in Vijayawada, Buddhist centres at Amaravati, Nagarjuna Konda etc., and many more as well. In the early 1990s, the Telugu film industry had largely shifted from Chennai to Hyderabad. The Telugu film culture (or, "Tollywood") is the second-largest film industry in India next to Bollywood Film Industry. Prolific film producer from the state, D. Ramanaidu holds a Guinness Record for the most number of films produced by a person. In the years 2005, 2006 and 2008 the Telugu film industry, has produced the largest number of films in India exceeding the number of films produced in Bollywood. The industry holds the Guinness World Record for the largest film production facility in the world. Andhra Pradesh has an overall literacy rate of 91.01% (2014). According to the report of Sarva Shiksha Abhiyan (2011–12) and Statistical Abstract (2012–13), 3,745,340 children out of 3,805,791 (98.4%), were enrolled in Primary schools with a teacher/student ratio of 29.3%. 2,101,928 children out of 21,56,577 (97.5%), were enrolled in Upper Primary schools with a teacher/student ratio of 24.6%. Apart from thousands of schools ranging from the pre-primary to the senior secondary ones, the state is home to a number of institutes, which impart higher education. The Ministry of Human Resource Development has sanctioned the Indian Institute of Management (IIM) at Visakhapatnam and Indian Institutes of Technology (IIT) at Tirupathi, both started functioning from the academic year 2015-16 The All India Institute of Medical Sciences is sanctioned by Government of India at Mangalagiri .The Government of Andhra Pradesh has established Rajiv Gandhi University of Knowledge Technologies (RGUKT) in 2008 to cater to the educational needs of the gifted rural youth of Andhra Pradesh. The higher education includes many colleges, universities and research institutes providing professional education in the fields of arts, humanities, science, engineering, law, medicine, business, and veterinary sciences, with undergraduate and post graduation. K L University, GITAM, Vignan University are the Deemed Universities. Other universities include, Dr. N.T.R. University of Health Sciences, Damodaram Sanjivayya National Law University, Gandhi Institute of Technology and Management and Indian Institute of Technology Tirupati. Government of India through Ministry of Human Resource Development, also announced National Institute of Technology, which is to be constructed in the West Godavari District of State of Andhra Pradesh and an Indian Institute of Technology (IIT), IIIT,IISER in the Chittoor District. The Sports Authority of Andhra Pradesh, is the governing body which looks after the infrastructure development in cricket, field hockey, association football, Olympic weightlifting, chess, water sports, tennis, badminton, table tennis, cycling, etc. Sports like kho kho, kabaddi and volleyball are played mostly in Andhra Pradesh. ^ "The Gazette of India" (PDF). Ministry of Home Affairs. http://reorganisation.ap.gov.in/downloads/AppointedDay.pdf. Retrieved 19 June 2015. ^ a b c "Demography". Government of Andhra Pradesh. http://www.ap.gov.in/AP%20State%20Statistical%20Abstract%20May%202014/2%20AP%20Demography.pdf. ^ a b c d "Administrative and Geographical Profile" (PDF). Government of Andhra Pradesh. http://www.ap.gov.in/AP%20State%20Statistical%20Abstract%20May%202014/1%20ADMINISTRATIVE%20AND%20GEOGRAPHICAL%20PROFILE.pdf. Retrieved 19 June 2015. ^ a b "The Andhra Pradesh Reorganisation Act, 2014" (PDF). Ministry of Law and Justice. 1 March 2014. p. 2. http://www.indiacode.nic.in/acts2014/6%20of%202014.pdf. Retrieved 14 July 2015. ^ "Capital City be named as "Amaravati"" (PDF). Municipal Administration & Urban Development Department – Andhra Pradesh. 23 April 2015. http://crda.ap.gov.in/APCRDA/Downloads/CRDA%20Other%20Issues/23042015MAUD_MS97.PDF. Retrieved 31 May 2015. ^ "Yanam of Puducherry". Gov.t of Yanam. Archived from the original on 13 May 2013. https://web.archive.org/20130513154001/http://yanam.gov.in:80/Mapofyanam.asp. Retrieved 6 June 2014. ^ Shankarlal C. Bhatt (2006). Land and People of Indian States and Union Territories (Volume 2 ed.). Gyan Publishing House. p. 15. ISBN 978-81-7835-358-6. https://books.google.co.in/books?id=i4pvVOd2L0cC&pg=PA15&dq=two+sub+regions+%5B%5BCoastal+Andhra%5D%5D+and+%5B%5BRayalaseema%5D%5D&hl=en&sa=X&ei=JiaEVbb-OtG3uATBqIG4Bw&ved=0CDkQ6AEwBzgK#v=snippet&q=two%20sub-regions&f=false. Retrieved 19 June 2015. ^ "India’s top 15 cities with the highest GDP". Yahoo Finance. 15 July 2014. https://in.finance.yahoo.com/photos/the-top-15-indian-cities-by-gdp-1348807591-slideshow/the-top-15-indian-cities-by-gdp-photo-1348807058.html. Retrieved 15 July 2014. ^ Nicole Bippen (17 February 2014). "The 10 Richest Indian Cities". The Richest. http://www.therichest.com/rich-list/nation/the-10-richest-indian-cities/. Retrieved 15 July 2014. ^ "Dance Dialects of India". Ragini Devi. Motilal Bansarsi Dass. ISBN 81-208-0674-3. https://books.google.com/books?id=KRz5ykKRVAEC&pg=PA66. Retrieved 2014-06-09. ^ "History of Andhra Pradesh". AP Online. Government of Andhra Pradesh. http://www.aponline.gov.in/quick%20links/hist-cult/history.html. Retrieved 22 July 2012. ^ "Ancient and medieval history of Andhra Pradesh". P. Raghunadha Rao. Sterling Publishers, 1993. p. iv. https://books.google.com/books?id=wENuAAAAMAAJ. Retrieved 2014-06-09. ^ "Age of Telugu language". The Hindu. 20 December 2007. http://www.thehindu.com/todays-paper/tp-national/tp-andhrapradesh/article1971071.ece. Retrieved 31 July 2013. ^ Salomon, Richard (1998). Indian epigraphy : a guide to the study of inscriptions in Sanskrit, Prakrit, and the other Indo-Aryan languages (1. publ. ed.). New York: Oxford University Press. p. 106. ISBN 0-19-509984-2. ^ Durga Prasad. "Chapter 2". History of the Andhras. P. G. Publishers. http://www.katragadda.com/articles/HistoryOfTheAndhras.pdf. Retrieved 2014-06-09. ^ a b "Chapter 9". A Journey Through India's Past. Northern Book Centre. ISBN 81-7211-194-0. https://books.google.com/books?id=HSoE8qR-5BgC&pg=PA47&dq=Simuka+andhra&hl=en&sa=X&ei=ormWU8LNJoTeoATM2oLIBA&ved=0CDEQ6AEwAw#v=onepage&q=Simuka%20andhra&f=false. Retrieved 2014-06-09. ^ a b c Durga Prasad. "Chapter 3". History of the Andhras. P. G. Publishers. http://www.katragadda.com/articles/HistoryOfTheAndhras.pdf. Retrieved 2014-06-09. ^ "Andhra Ikshvaku inscriptions". The Hindu. http://www.thehindu.com/todays-paper/tp-national/tp-andhrapradesh/article3027992.ece. ^ "Ancient and medieval history of Andhra Pradesh". P. Raghunadha Rao. Sterling Publishers, 1993. p. 68. https://books.google.com/books?id=wENuAAAAMAAJ. Retrieved 2014-06-09. ^ "Ancient and medieval history of Andhra Pradesh and telangana". P. Raghunadha Rao. Sterling Publishers, 1993. p. 70. https://books.google.com/books?id=wENuAAAAMAAJ. Retrieved 2014-06-09. ^ Ancient Indian History and civilization By S. N. Sen. https://books.google.com/books?id=Wk4_ICH_g1EC&pg=PA433&lpg=PA433&dq=Salankayanas&source=bl&odts=4_x87DyOav&sig=ASyRNDhHjKYta7zMQ0ZYW1SBBRg&hl=en&sa=X&ei=LdOiUaKhEoPUiwLYpIDACA&ved=0CEAQ6AEwAw#v=onepage&q=Salankayanas&f=false. ^ Pran Nath Chopra (1982). Religions and communities of India. Vision Books. p. 136. https://books.google.com/?id=ggtuAAAAMAAJ&dq=religions+and+communities+of+india+pn+chopra&q=reddi+kingdoms+rulers#search_anchor. Retrieved 4 July 2011. ^ Mallampalli Somasekhara Sarma; Mallampalli Sōmaśēkharaśarma (1948). History of the Reddi kingdoms (circa. 1325 A.D. to circa 1448 A.D.). Andhra University. https://books.google.com/?id=diYLAQAAIAAJ&dq=origin+of+reddi+kings&q=reddi#search_anchor. Retrieved 8 July 2011. ^ Government Of Madras Staff; Government of Madras (1 January 2004). Gazetteer of the Nellore District: brought upto 1938. Asian Educational Services. p. 52. ISBN 978-81-206-1851-0. https://books.google.com/books?id=2qx-smrZLyUC. Retrieved 1 July 2011. ^ "Master Plan for Hampi Local Planning Area". http://www.bellary.nic.in/HMP/REPORT%20PDFs/CHAPTER-2.pdf. ^ Richards, J. F. (1975). "The Hyderabad Karnatik, 1687–1707". Modern Asian Studies 9 (2): 241–260. DOI:10.1017/S0026749X00004996. ^ "Tributes paid to Telangana martyrs". The Hindu (Chennai, India). 18 September 2005. http://www.thehindu.com/2005/09/18/stories/2005091816590500.htm. ^ "HYDERABAD: The Holdout". Time. 30 August 1948. Archived from the original on 22 May 2010. https://web.archive.org/web/20100522212635/http://www.time.com/time/magazine/article/0,9171,799076-2,00.html. Retrieved 20 May 2010. ^ "Post-Independence Era, then and now". aponline.gov.in. http://www.aponline.gov.in/quick%20links/hist-cult/history_post.html#Emergence. Retrieved 3 August 2013. ^ "Know Hyderabad: History". Pan India Network. 2010. Archived from the original on 21 September 2010. http://hyderabadonline.in/Profile/History/. Retrieved 5 October 2010. ^ "Telangana state formation gazette". The New Indian Express. http://www.newindianexpress.com/states/andhra_pradesh/Telangana-State-to-Be-Born-on-June-2/2014/03/04/article2090470.ece. Retrieved 2014-05-14. ^ "Constitution of India Sub-section". March 4, 2014. http://indiankanoon.org/doc/1015123/. Retrieved April 23, 2014. ^ "Ordinance on Polavaram project promulgated". The Hans India (Hyderabad). 29 May 2014. http://www.thehansindia.com/posts/index/2014-07-11/List-of-seven-mandals-to-be-included-in-AP-101564. Retrieved 12 November 2015. ^ "The Andhra Pradesh Reorganisation (Amendment) Act, 2014" (PDF). Ministry of Law and Justice, Legislative Department. 17 July 2014. http://www.indiacode.nic.in/acts2014/19_of_2014.pdf. Retrieved 12 November 2015. ^ "Supreme court refers Telangana petitions to constitution bench". NDTV. http://www.ndtv.com/article/south/supreme-court-refers-telangana-petitions-to-constitution-bench-492795. Retrieved 17 February 2016. ^ "Andhra Pradesh Geography". Maharashtraweb.com. Archived from the original on 29 September 2010. http://www.maharashtraweb.com/AndhraPradesh/AndhraPradeshgeography.htm. Retrieved 15 August 2010. ^ "Kadapa basin". Directorate General of Hydrocarbons. http://www.dghindia.org/10.aspx. Retrieved 6 June 2014. ^ Ganguly, Nivedita (17 September 2014). "Lambasingi set to become tourist hotspot". The Hindu (Visakhapatnam). http://www.thehindu.com/news/cities/Visakhapatnam/lambasingi-set-to-become-tourist-hotspot/article6416560.ece. Retrieved 26 November 2014. ^ "Lambasingi records 2º c". Deccan Chronicle (Visakhapatnam). 16 December 2013. http://www.deccanchronicle.com/131216/news-current-affairs/article/lambasingi-records-2%C2%BA-c. Retrieved 26 November 2014. ^ "Forests in AP facts.". AP Forest department. http://forest.ap.nic.in/About.htm. Retrieved 6 June 2014. ^ a b c "Natural vegetation and wildlife". AP Forest Department. http://forest.ap.nic.in/WLINDEX.htm. Retrieved 6 June 2014. ^ Aptdc, Andhra Pradesh Tourism Development Corporation (27 May 2010). "APTDC – Andhra Pradesh Tourism Development Corporation". Tourisminap.com. Archived from the original on 6 August 2010. http://www.tourisminap.com/know_ap/index.php. Retrieved 15 August 2010. ^ "INDIA AT A GLANCE : CENSUS 2011". The Registrar General & Census Commissioner, India. http://censusindia.gov.in/2011-prov-results/indiaatglance.html. Retrieved 9 August 2014. ^ "Human Development Report 2007". APonline.gov.in. Archived from the original on 19 September 2010. http://www.aponline.gov.in/Apportal/HumanDevelopmentReport2007/APHDR_2007_Chapter2.pdf. Retrieved 15 August 2010. ^ "Telugu Language". Government of India. http://www.ap.gov.in/telugu-language/. Retrieved 19 June 2015. ^ "Classical Language". Press Information Bureau. http://pib.nic.in/newsite/erelease.aspx?relid=44340. Retrieved 2014-06-09. ^ "English Demography". Lisindia.net. http://www.lisindia.net/English/Eng_Demo.html#top. Retrieved 8 October 2011. ^ a b "Census of India – Religious Composition". Government of India, Ministry of Home Affairs. http://www.censusindia.gov.in/2011census/C-01.html. Retrieved 27 August 2015. ^ "Sri Potuluri Veera Brahmendra Swami". Mihira.com. Archived from the original on 20 November 2008. http://www.mihira.com/wisdommasters/veerabrahmam.htm. Retrieved 29 November 2008. ^ "Part-I State Administrative Divisions 2001-2011" (PDF). Census of India. p. 6. http://www.censusindia.gov.in/2011census/maps/atlas/28part1.pdf. Retrieved 18 January 2015. ^ "Population of AP districts(2011)" (pdf). ap.gov.in. p. 14. http://www.ap.gov.in/districts/. Retrieved 25 May 2014. ^ "Andhra Pradesh Legislative Assembly". http://www.apassemblylive.com. ^ "DELIMITATION OF PARLIAMENTARY AND ASSEMBLY CONSTITUENCIES ORDER, 2008" (PDF). Election Commission of India. pp. 16–28. http://eci.nic.in/eci_main/CurrentElections/CONSOLIDATED_ORDER%20_ECI%20.pdf. Retrieved 11 October 2014. ^ "Overview". Government of Andhra Pradesh. http://www.aplegislature.org/web/legislative-council/overview. Retrieved 23 May 2015. ^ "The Hindu, November 25, 2012". Chennai, India. 25 November 2012. http://www.thehindu.com/news/national/andhra-pradesh/kiran-beats-pv-rosaiah-anjaiah-in-tenure/article4132949.ece. Retrieved 20 December 2013. ^ "The Hindu, on the election and Presidency". Chennai, India. 15 June 2012. http://www.thehindu.com/news/national/article3529044.ece?homepage=true. Retrieved 20 December 2013. ^ "Telugu Desam turns 29.". http://www.dnaindia.com/india/report-telugu-desam-party-turns-29-nt-rama-rao-remembered-1364859. Retrieved 20 December 2013. ^ "Length of time as Chief Minister". http://www.britannica.com/EBchecked/topic/401839/Nara-Chandrababu-Naidu. Retrieved 20 December 2013. ^ "CBN to be sworn as CM of Andhra on June 8th". Deccan-Journal. http://deccan-journal.com/content/cbn-take-oath-june-8th. Retrieved 2 June 2014. ^ "Durgi Stone Craft". Cesdeva. http://guntur.nic.in/durgi_stonecraft.html. Retrieved 20 December 2013. ^ "Archaeological Museum, Amaravati – Archaeological Survey of India". Asi.nic.in. http://asi.nic.in/asi_museums_amravati.asp. Retrieved 19 August 2010. ^ "VizagCityOnline.com — Visakha Museum". Vizagcityonline.com. Archived from the original on 8 December 2008. http://www.vizagcityonline.com/visakha_museum/. Retrieved 29 November 2008. ^ "Telugu Literature". http://indiaforyou.in/states/andhrapradesh/apculture.php. Retrieved 8 April 2014. ^ Manorma Sharma (2007). Musical Heritage of India. APH. pp. 19–32. ISBN 81-313-0046-3. ^ "Burrakatha loses sheen sans patronage". The Times of India. Jan 14, 2013. http://timesofindia.indiatimes.com/city/visakhapatnam/Burrakatha-loses-sheen-sans-patronage/articleshow/18012802.cms?referral=PM. Retrieved 2013-09-02. ^ "Andhra Food". http://www.indianfoodforever.com/andhra/. Retrieved 3 April 2014. ^ "Non-vegetarian dishes". http://www.indianfoodforever.com/andhra/. Retrieved 3 April 2014. ^ "Economy" (PDF). AP state portal. http://www.ap.gov.in/AP%20State%20Statistical%20Abstract%20May%202014/4_AP_Economy.pdf. Retrieved 21 June 2014. ^ "India's Richest". Forbes.com. 29 September 2010. http://www.forbes.com/lists/2010/77/india-rich-10_Indias-Richest_Rank.html. Retrieved 31 January 2014. ^ Appaji Reddem. "Rice bowl of India". The Hindu. http://www.thehindu.com/todays-paper/tp-national/tp-andhrapradesh/rice-bowl-of-india-worst-hit/article5227645.ece. Retrieved 7 June 2014. ^ India Today. ABC-CLIO. p. 36. ISBN 978-0-313-37462-3. https://books.google.co.in/books?id=wWDnTWrz4O8C&pg=PA36&dq=Rice+Bowl+of+India&hl=en&sa=X&ei=Ks5mVJqBOcm2uASy3YKQDQ#v=onepage&q=Rice%20Bowl%20of%20India&f=false. Retrieved 15 November 2014. ^ "‘United AP stood second in agri exports’" (in en-IN). The Hindu (Vijayawada). 17 January 2016. http://www.thehindu.com/news/cities/Vijayawada/united-ap-stood-second-in-agri-exports/article8116244.ece. Retrieved 17 January 2016. ^ "Irrigation Projects". Ministry of Water Resources. http://www.pib.nic.in/newsite/erelease.aspx?relid=49395. Retrieved 2014-06-09. ^ "Socio Economic Survey 2013-14" (PDF). Government of Andhra Pradesh. p. 3. http://www.ap.gov.in/Other%20Docs/Socio%20Economic%20Survey%20Book%20let.pdf. Retrieved 27 June 2015. ^ Mohanty, Muktikanta (2010). Macmillan's General Knowledge Manual 2010. Macmillan. p. 72. ISBN 978-0-230-32874-7. https://books.google.co.in/books?id=PBx03lUGHlUC&pg=PA72&dq=egg+bowl+of+asia&hl=en&sa=X&ei=Qs1mVJreHMiauQSjqoLoAw#v=onepage&q=egg%20bowl%20of%20asia&f=false. Retrieved 15 November 2014. ^ Special Correspondent. "AP top producer of shrimp: MPEDA". The Hindu. http://www.thehindu.com/todays-paper/tp-national/tp-andhrapradesh/ap-top-producer-of-shrimp-mpeda/article4311671.ece. ^ "Vannamei Hatcheries". Coastal Aquaculture Authority. Archived from the original on 3 June 2014. https://web.archive.org/20140603143059/http://www.caa.gov.in/. Retrieved 16 July 2014. ^ "The $ Billion Andhra Shrimp exports". viscan.in. http://viscan.in/?p=533. ^ "Firms in sricity". http://www.sricity.in/customer.html. Retrieved 14 May 2015. ^ V Rishi Kumar (3 April 2015). "PepsiCo inaugurates new facility at Sri City". Hyderabad: The Hindu Business Line. http://www.thehindubusinessline.com/companies/pepsico-to-commission-new-unit-at-sri-city-today/article7064372.ece. Retrieved 14 May 2015. ^ "IT/ITES revenues". Times of India. 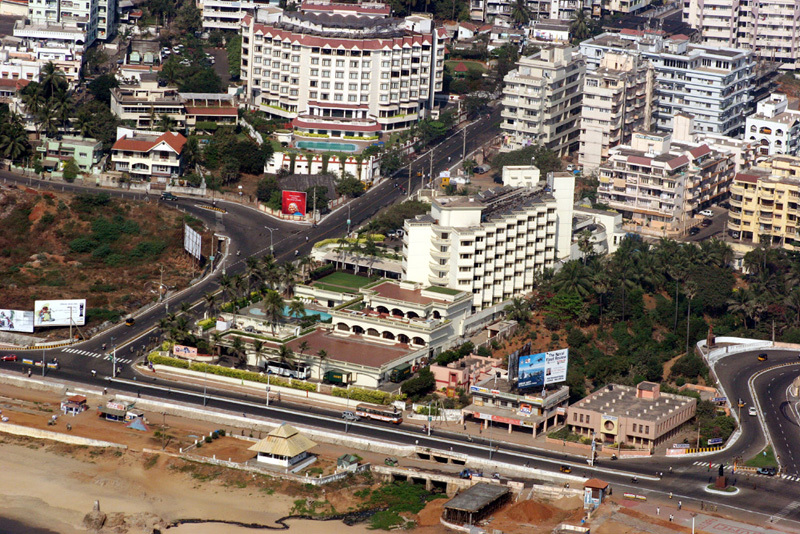 http://timesofindia.indiatimes.com/city/visakhapatnam/Visakhapatnam-IT/ITeS-sector-surges-20-in-2013/articleshow/22592960.cms. Retrieved 6 June 2014. ^ a b "Industrial & Fertilizer minerals" (PDF). CGPB Committee-IV. pp. 17–44. http://www.portal.gsi.gov.in/gsiDoc/pub/peer_reviewed_base_document_com_iv.pdf. Retrieved 2014-06-09. ^ "Krishna Godavari Basin: Oil & Gas Resource". kgbasin.in. http://www.kgbasin.in/. Retrieved 7 June 2014. ^ "APGENGO overview". APGENCO. http://apgenco.gov.in/getInfo.do. Retrieved 19 June 2014. ^ "Davos Visit will Boost Andhra Pradesh's Image, Says Naidu". The New Indian Express (Vijayawada). 26 January 2016. http://www.newindianexpress.com/states/andhra_pradesh/Davos-Visit-will-Boost-Andhra-Pradeshs-Image-Says-Naidu/2016/01/26/article3245055.ece. Retrieved 21 February 2016. ^ "Natural Gas in Krishna-Godavari basin". Times of India. 3 Oct 2013. http://timesofindia.indiatimes.com/city/hyderabad/Andhra-Pradesh-to-get-additional-gas/articleshow/23430327.cms?referral=PM. Retrieved 20 December 2013. ^ "Salient features of A.P.TransCo / A.P.GenCo / DisComs". http://www.aptransco.gov.in/transco/docs/Sal-Fea-Dec-15.pdf. Retrieved 7 February 2016. ^ "citi-Charter". Apsrtc.gov.in. Archived from the original on 17 September 2010. http://www.apsrtc.gov.in/Contact%20Us/Grievances/Citi-Chart.htm. Retrieved 19 August 2010. ^ "Rail Network". http://www.mapsofindia.com/maps/andhrapradesh/andhrapradeshrailways.htm. Retrieved 2 April 2014. ^ "Waltair division earnings". The Hindu. 10 April 2012. http://www.thehindu.com/news/cities/Visakhapatnam/waltair-division-records-alltime-high-earnings/article3299428.ece. Retrieved 9 June 2014. ^ "Airports" (PDF). AP State Portal. http://www.aponline.gov.in/quick%20links/Economic%20Survey/economic6.pdf. Retrieved 23 June 2014. ^ "Vizag port info". vizagport. http://www.vizagport.com/AboutUs/History.aspx. Retrieved 9 June 2014. ^ "Capacity of port". gangavaram port. http://www.gangavaram.com/about-port.htm. Retrieved 9 June 2014. ^ "Andhra Pradesh: Opening up ports". Andhra Pradesh Department of Ports. http://www.andhraports.com/index.htm. Retrieved 2 March 2014. ^ "Andhra Pradesh Fact File" (PDF). AP state portal. p. 2. http://www.ap.gov.in/AP%20State%20Statistical%20Abstract%20May%202014/1%20ADMINISTRATIVE%20AND%20GEOGRAPHICAL%20PROFILE.pdf. Retrieved 1 July 2014. ^ a b c "Tourist destinations in AP". Andhra Pradesh Tourism Department. http://www.tourisminap.com/know_ap/index.php. Retrieved 5 June 2014. ^ "The List of Wetlands of International Importance" (PDF). The Secretariat of the Convention on Wetlands (Ramsar, Iran, 1971). p. 20. http://www.ramsar.org/pdf/sitelist.pdf. Retrieved 5 June 2014. ^ "Divine destinations". AP tourism department. http://www.aptdc.gov.in/special-tours/divine_destinations.html. Retrieved 5 June 2014. ^ "The Templenet Encyclopedia — Temples of Andhra Pradesh". http://www.templenet.com/encandh1.html. Retrieved 26 February 2009. ^ "The Telugu film industry". Preethi's Web. http://preethika.wordpress.com/2008/01/28/indian-film-industry/. Retrieved 6 Jun 2014. ^ Ramakrishnan, Sathyalaya (11 September 2010). "Prestigious 'Phalke" award conferred to Veteran Film producer D Rama Naidu". Asian Tribune. http://www.asiantribune.com/news/2010/09/11/prestigious-phalke-award-conferred-veteran-film-producer-d-rama-naidu. Retrieved 8 October 2011. ^ "Tollywood loses to Bollywood on numbers – Times Of India". timesofindia.indiatimes.com. 2 October 2010. http://timesofindia.indiatimes.com/city/hyderabad/-Tollywood-loses-to-Bollywood-on-numbers-/articleshow/6661950.cms?referral=PM. Retrieved 31 January 2014. ^ "Telugu film industry enters new era | Business Line". Thehindubusinessline.com. 6 November 2007. http://www.thehindubusinessline.com/todays-paper/tp-economy/telugu-film-industry-enters-new-era/article1674075.ece. Retrieved 31 January 2014. ^ "Largest film studio". Guinnessworldrecords.com. Archived from the original on 19 January 2014. https://web.archive.org/20140119000128/http://www.guinnessworldrecords.com:80/records-1/largest-film-studio. Retrieved 31 January 2014. ^ "Education in Andhra Pradesh" (PDF). AP State Portal - Official portal of Andhra Pradesh Government - Sarva Shiksha Abhiyan (2011-12) & Statistical Abstract (2012-13). p. 139. http://www.ap.gov.in/AP%20State%20Statistical%20Abstract%20May%202014/8%20AP%20Education.pdf. Retrieved 12 July 2014. ^ Sumit Bhattacharjee. "IIM-V to begin with flagship programme in management". The Hindu. http://www.thehindu.com/news/cities/Visakhapatnam/iimv-to-begin-with-flagship-programme-in-management/article6837692.ece. ^ "Tirupati, Palakkad IITs open for admission". The Hindu. 2015-06-25. ISSN 0971-751X. http://www.thehindu.com/news/cities/chennai/tirupati-palakkad-iits-open-for-admission/article7351989.ece. ^ "Rajiv Gandhi University of Knowledge Technologies". Rgukt.in. http://www.rgukt.in/home-aboutrgukt.html. Retrieved 8 October 2011. ^ "JNTU-Kakinada". jntuk.edu.in. http://www.jntuk.edu.in/. Retrieved 15 May 2014. ^ "JNTU-Anantapur". jntua.ac.in. Archived from the original on 26 October 2014. https://web.archive.org/20141026075843/http://www.jntuacep.ac.in:80/. Retrieved 20 November 2014. ^ "NARL". National Atmospheric Research Laboratory. http://www.narl.gov.in/Default.aspx. Retrieved 5 June 2014. ^ "IISER Tirupati". http://www.iisertirupati.ac.in/. Retrieved 2016-02-02. ^ "SHAR". Archived from the original on 27 September 2013. https://web.archive.org/20130927042545/http://www.isro.org/isrocentres/sdsc.aspx. Retrieved 2014-05-15. ^ "Chandrayaan 1". Archived from the original on 8 February 2014. https://web.archive.org/20140208042931/http://isro.org/index.aspx. Retrieved 2014-05-15. ^ "Sports Authority of Andhra Pradesh". SAAP. Archived from the original on 4 April 2014. https://web.archive.org/20140404230915/http://www.saap.in:80/aboutsaap.htm. Retrieved 5 April 2014. ^ "Newspapers and Journals of AP". indiagrid. http://www.indiagrid.com/cgi-bin/news.cgi?channel=ap&mchannel=states. Retrieved 9 June 2014. This page uses content from the English language Wikipedia. The original content was at Andhra Pradesh. The list of authors can be seen in the page history. As with this Familypedia wiki, the content of Wikipedia is available under the Creative Commons License.